(Name's) Gone Batty At (Age) Happy Birthday! (Name's) Still Batty At (Age) Happy Birthday! 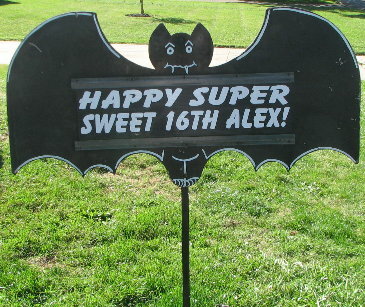 Guess Who's Going Batty At (Age) Happy Birthday! We're Just Hangin' Around to Wish (Name) A (Age) Happy Birthday!